Sunday Morning Worship ~ 10:30 A.M.
Sunday Evening Worship ~ 6:30 P.M. Youth Rally @ Cardington Baptist Temple. We will leave the church @ 2:00pm and return about 8:00pm. Sunrise Service @ 7:00am followed by a delicious breakfast in the fellowship hall. 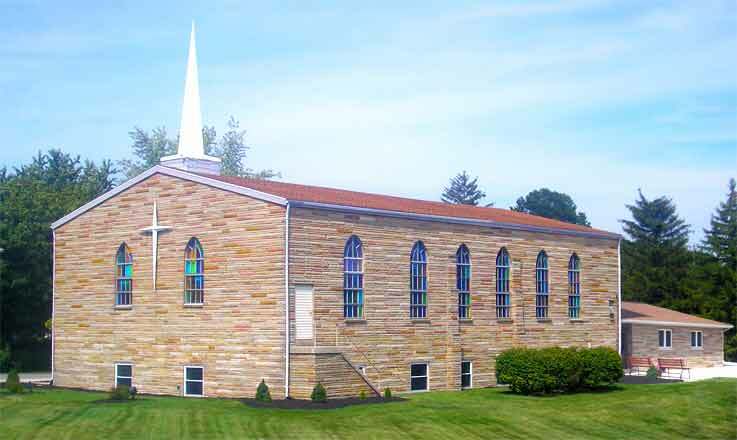 Baptist Bible Institute of Bucyrus graduation - all are welcome to celebrate the graduation of 5 students and stay for a light snack reception afterwards. The graduation begins at 7:00pm. Pastor Stephen Lance will deliver a challenge to our graduates. Vacation Bible School - begins at 6:30pm nightly. Friday will be our annual hot dog roast following our parents and family program. Mid-week service will be held on Tuesday this week. A tour group from Hyles-Anderson College will be singing and the tour preacher will bring the message.